When Dave Chappelle’s skit featuring the African-American white supremacist, Clayton Bigsby, aired on tv, people were left shocked that this plays out daily in America. You know by skin color who is who, right? No one would want to be a hater bashing on their own kind. It makes them look dumb if you ask me. It’s trickier than looking at the color of skin, and one man found out the hard way. An old caucasian white man, Craig Cobb, was your average racist who are prejudiced against African-Americans and many other racial groups because they ran faster than him. 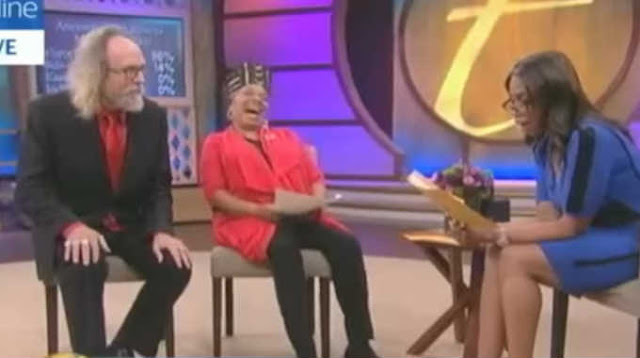 The man appeared as a guest on the Trisha Show and had his DNA tested, and shockingly he found out he was part African! In an attempt to dilute the facts, he called it a statistical noise. The thing is, he is losing in his own battle. He is a part of the minority like the rest of us whose ancestors emigrated from different countries. He most likely will ignore and cast the facts aside and live in his hate-mongering life. There’s always a sense of hope down the road.